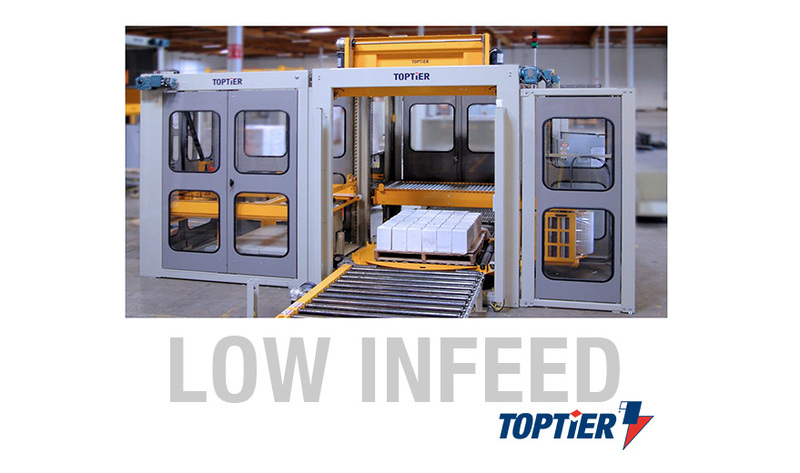 Lower level infeed palletizers work with existing floor-level conveyors. 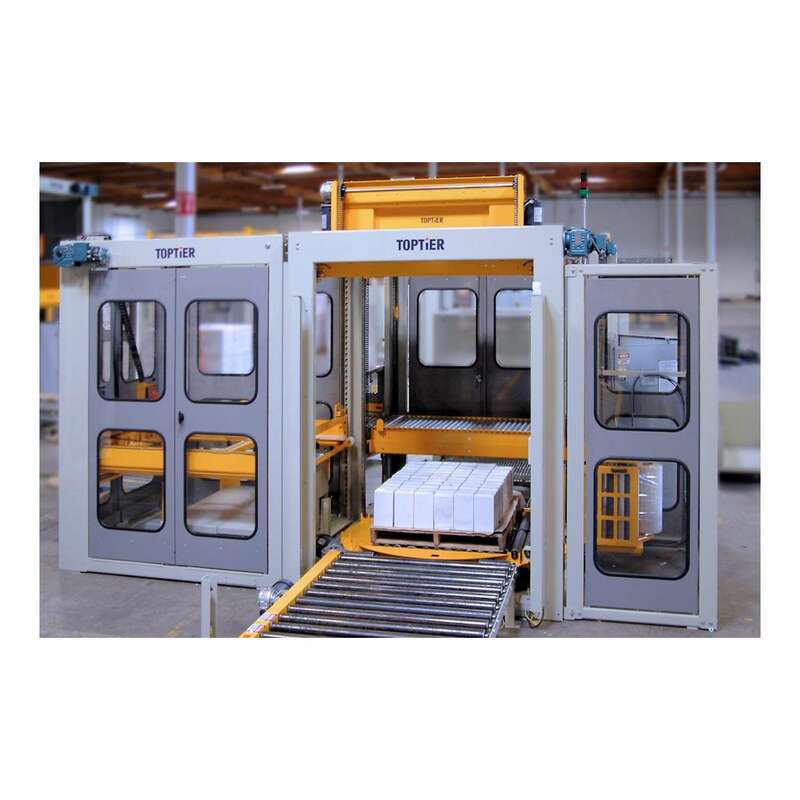 TopTier palletizers combine the most recent advances in machine control technology with an intuitive interface HMI and EasyStack?? pattern programming software. Additional controls information..
Infeed Height 23" to 60"
Standard Load Height 60" or 72"
Minimum Footprint 162" x 115"
Typical Footprint 233" x 155"